ABOLISH the Federal Territories Ministry. Have an elected mayor. Gazette and implement the Kuala Lumpur City Plan 2020. These are some of the proposals put forth to the Committee on Institutional Reforms by Save Kuala Lumpur – a movement comprising residents’ associations, building management corporations and non-governmental organisations. Save Kuala Lumpur wants to highlight the failures and ineffective decision-making processes of Kuala Lumpur City Hall, the Federal Territories Ministry and the controversial Yayasan Wilayah Persekutuan. The group’s deputy chairman Datuk Mumtaz Ali said the proposals were submitted on Thursday and hopes the views will be given consideration as they are in line with Local Agenda 21. Local Agenda 21 is a voluntary process of local community consultation with the objective of creating policies and programmes that work towards achieving sustainable development. “Malaysia is a signatory to Local Agenda 21 which is under the United Nations, but many local councils including City Hall have been selective in implementing it,” said Mumtaz. Harmonising the Federal Territory Planning Act with the Town and Country Planning Act. Place City Hall under the Housing and Local Government Ministry. Ensure effective community participation including having monthly town hall sessions with residents and that stakeholders are updated on the outcome of comments, feedback and reasons decisions were made. Create recreation activity spaces, including sports facilities, in new and existing housing areas at zero or nominal charges. Setting up a stakeholder representation within City Hall involving residents’ associations. Review and restructure Yayasan Wilayah Persekutuan and that the foundation has an independent board of trustee with participation from the community. Make public council accounts and annual budgets. Yayasan Wilayah Persekutuan, the welfare arm of the FT Ministry, has come under scrutiny recently for allegedly being involved in ‘land grabs’ throughout the city. The foundation also has a parking contract with City Hall where it handles and collect parking fees and manages free standing billboard contracts in Kuala Lumpur. The Committee on Institutional Reforms had invited written submissions from those who wished to highlight failed institutions or those with poor governance. The deadline for the submissions is today. Retired Court of Appeal judge Datuk K.C. Vohrah. Retired Court of Appeal judge and Human Rights Commission Commissioner Datuk Mah Weng Kwai. 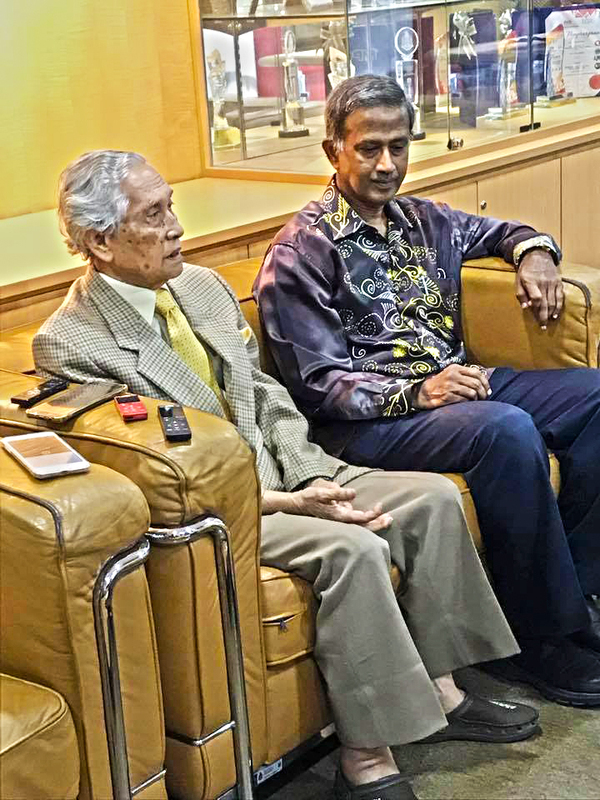 National Patriots Association president Brig-Gen (Rtd) Datuk Mohamed Arshad Raji. National Human Rights Society president Datuk Ambiga Sreenevasan. University Malaya Law professor Datuk Shad Saleem Faruqi. The committee will present its findings and recommendations to the Council of Eminent Persons, who will then present reports to Prime Minister Tun Dr Mahathir Mohamad.